Scottsdale, Arizona, July 9, 2009 – The USTA Central Arizona office is proud to announce the hiring of Leslee Baska, as the East Valley Local League Coordinator for USTA Central Arizona. As the boundaries of USTA Central Arizona continue to grow, it is becoming more difficult for just one individual to manage and grow the current league structure. As the fifth largest metropolitan city in America, USTA Central Arizona is taking the next step in modeling their league program after many of the other great, successful league programs in the larger metropolitan cities around the U.S. (Dallas, Houston, Atlanta, and Charlotte). 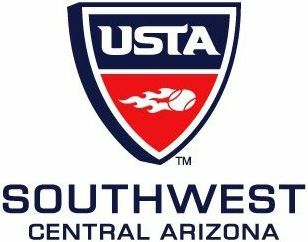 The goal of USTA Central Arizona is to continue to improve the league play opportunities for their members and players by creating more, better competition, and time efficient match play (limiting the amount of travel for players and captains). Leslee will be charged with concentrating her efforts in building relationships with existing league players and captains in the East Valley, and establishing new relationships with facilities as well as individuals on the East side of Phoenix. Leslee has been quoted as saying, “The players come first in this league system. Without the support of the captains and their players, we will have difficulty growing our leagues.”	She is dedicated to reaching out to the players, listening to their concerns, and always trying to do what is in their best interests. First Leslee will be tasked with getting an open forum date scheduled, where all of the USTA Captains and Players can come, and make suggestions on how they would improve the current league system. The USTA Central Arizona Board will also be exploring getting a	League Advisory Committee established that would make suggestions to the organization regarding USTA league issues. This is the first step in making sure the voices of the league players are heard. Leslee is a native of Phoenix, Arizona. She has been an avid tennis player for over 15 years. Ten years ago, Leslee worked for the USTA Central Arizona office as the Combo League coordinator, where she built the program from scratch. The old combo league was the most successful combo league in the Southwest Section at that time. Some of the captains that she recruited for the Combo League, are still captaining USTA teams today. Leslee knows what it is like to be a player and captain of an organized tennis league. She has been a captain of ATA, Playtennis, USTA, as well as played in Women’s Interclub. Every time she goes on to play a match she has two goals in mind:	(1) to meet new people and (2) to give her best effort. USTA Central Arizona is extremely excited to have Leslee Baska on board as the new East Valley League Coordinator.